If you haven't at least glanced at YouTube gadget aficionado JerryRigEverything (whose real name is Zack), you should close this tab and go do that. 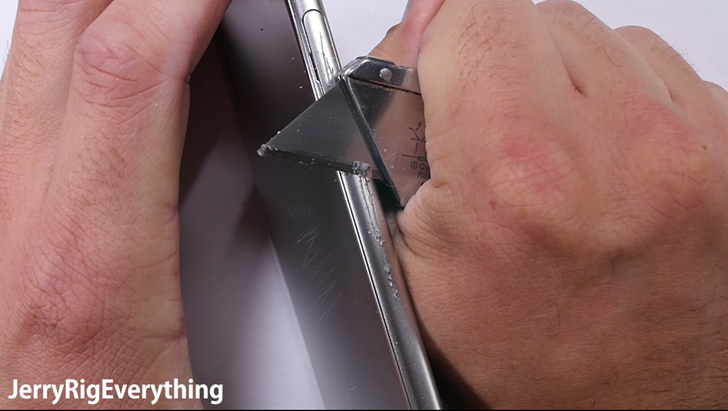 He puts new phones through excruciating damage tests for "entertainment purposes only" - it's the kind of thing that we're not really supposed to do in our standard reviews (unless the phone dares us to kill it). In a breakdown of the Xperia XZ, Sony's current premium flagship which retails for $700, Zack found a surprising amount of materials that were less than premium. Zack did praise the upgraded camera module, which features tempered glass instead of the plastic lens cover of previous Xperia models, and the glass screen panel matches the 6-Moh hardness of most phones. He rates the Xperia XZ as "worth considering" in terms of durability, but based on pure materials for price, it seems like Sony is well behind other players in the smartphone market.